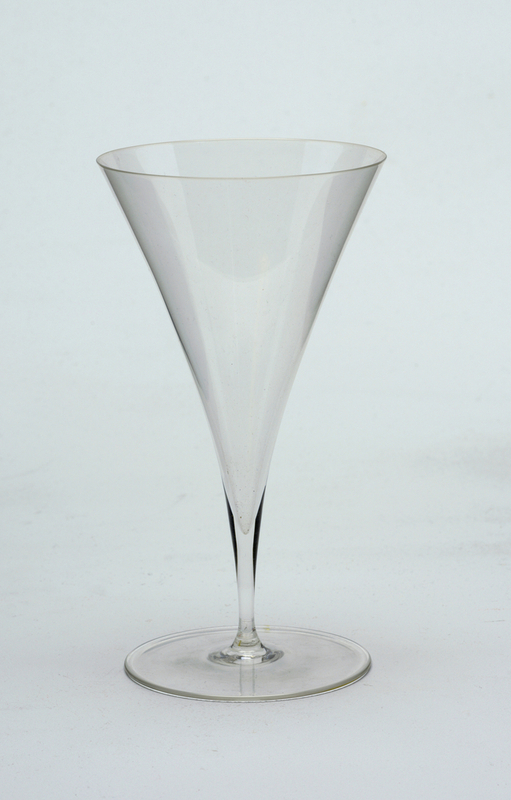 This is a Wine glass. It is dated 1926 and we acquired it in 1958. 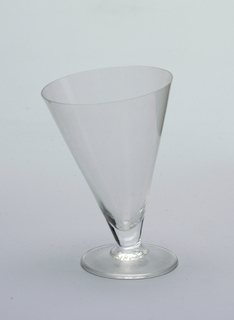 Its medium is mouth-blown crystal ("muslin glass"). It is a part of the Product Design and Decorative Arts department. This object was purchased with funds from: Georgiana L. McClellan. It is credited Museum purchase through gift of Georgiana L. McClellan.